Current federal law prohibits nine categories of dangerous people from purchasing or owning firearms. However, a significant gap allows suspected or known terrorists in the United States to legally buy guns. 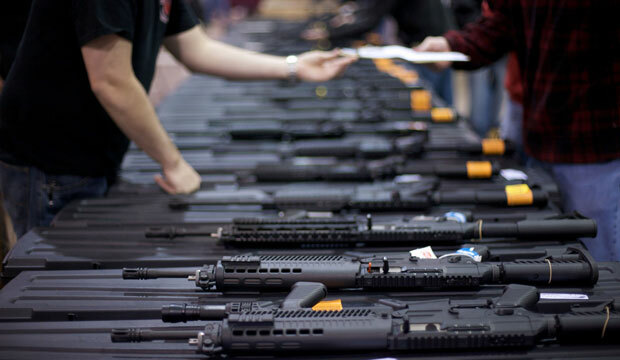 With the ever-present threat of lone-wolf and homegrown terrorists perpetrating attacks on American soil, it is important to close this gap in order to prevent known terror suspects from easily purchasing guns. Terrorist gun use is on the rise: A 2014 study conducted by Indiana State University found that prior to 9/11, bombs were the most common weapon for lone-wolf terrorists carrying out attacks on American soil, but since 2001, lone-wolf terrorists have increasingly turned to high-powered guns as their weapon of choice. A Government Accountability Office, or GAO, investigation found that individuals on the consolidated terror watch list passed a background check and were legally able to purchase a firearm 2,043 times between February 2004 and December 2014. Individuals on the consolidated terror watch list attempted to purchase guns on 2,233 occasions during this period, but the Federal Bureau of Investigation, or FBI, was only able to stop 10 percent from buying guns due to another disqualifying conviction or record. In 90 percent of cases, potential terrorists passed a background check and were able to legally purchase guns. A growing concern for U.S. national security experts is the risk posed by Americans traveling abroad to train and fight alongside groups such as the Islamic State of Iraq and al-Sham, or ISIS, and then returning to launch an attack in the United States. The U.S. intelligence and law enforcement communities are already facing significant challenges in combating this threat, which is amplified by the ability of lone-wolf terror suspects to legally purchase guns upon their return to the United States. Legislation originally drafted in 2007 by the Bush administration—and introduced in every Congress since—would close the terror gap and prevent suspected terrorists from easily buying guns. Sen. Dianne Feinstein (D-CA) and Rep. Peter King (R-NY) reintroduced The Denying Firearms and Explosives to Dangerous Terrorists Act, or S. 551 / H.R. 1076, again in February 2015. The bill defines a terror suspect as any person who is known or suspected to be involved in preparing for or providing support for terrorism. On June 17, 2015, Dylann Roof opened fire at a weekly bible study meeting held at the Emanuel African Methodist Episcopal Church, a historic African American church in Charleston, South Carolina. Using a handgun he purchased two month prior to the attack, Roof shot and killed nine people, including the pastor who was leading the meeting. Roof posted a manifesto online prior to the attack espousing white supremacist ideology and had posed for photos with Confederate flags and other symbols of racial hatred. Roof has been charged with federal hate crimes, in addition to murder and other charges, for perpetrating this attack. On May 3, 2015, Elton Simpson and Nadir Soofi arrived at a convention in Garland, Texas, armed with assault rifles and wearing head-to-toe body armor. Simpson and Soofi attacked the anti-Muslim art show taking place there, shooting a security guard outside the building. However, the security guard and SWAT officers killed both Soofi and Simpson before they could continue their attack on the event. Simpson was known to the FBI and was placed on the terror watch list in 2011 after corresponding with an undercover FBI agent about traveling to Somalia to participate in violent jihad. On November 5, 2009, Major Nidal Hasan committed a mass shooting at Fort Hood that killed 13 people and wounded an additional 30. Hasan was under investigation by the FBI at the time for suspected ties to terrorists. On June 1, 2009, Abdulhakim Mujahid Muhammad opened fire at a military recruiting station in Little Rock, Arkansas, killing one person and wounding another. At the time of the shooting, Muhammad was under investigation by the FBI for suspected links to terrorism. He was charged with murder and 16 counts of terrorist acts. On May 8, 2007, six terror suspects were arrested for conspiring to attack Fort Dix. The individuals were caught after trying to buy numerous firearms from a government informant, including M16s and AK-47s. One suspect pleaded guilty to providing firearms to illegal aliens and the others were convicted of conspiracy to kill U.S. military personnel. Who supports closing the terror gap?